Who is Lord Sitar? Well, he’s a man known for his sitar playing prowess who, in 1968, recorded the one and only album under his name, Lord Sitar, released originally via EMI Records labels worldwide (in the US on Capitol, in Europe on Parlophone). The LP was one of those from the mid to late ‘60s that presented instrumental arrangements of current hits in order to cash in on a current fad. Think Herb Alpert and the Tijuana Brass, or Sergio Mendes and Brasil ’66, only this time the sitar is the star. Who is Lord Sitar? 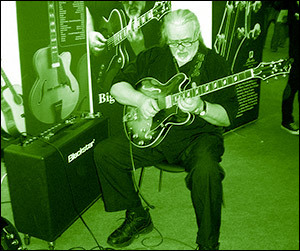 He was Big Jim Sullivan (born James Tompkins), the famed English session guitarist who played on literally hundreds of records by mostly British music acts of all ilks. (See the Wikipedia entry on him.) After learning the sitar, Big Jim recorded a couple of clever sitar-based albums, the other being Sitar Beat (credited to Big Jim Sullivan). 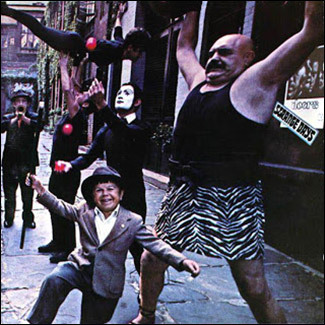 This one, reissued on 180-gram clear green vinyl for Record Store Day 2015, features covers of a handful of Beatles tunes, including “Blue Jay Way” and “I Am the Walrus,” as well as “Daydream Believer,” “Black Is Black,” and my favorite, The Who’s “I Can See for Miles.” I first heard the Lord Sitar version one day at Jive Time Records in Seattle, immediately asked who it was, and then dutifully researched it until I found a CD copy (Jive Time, alas, only had the tune on a compilation album). You can hear “I Can See for Miles” on YouTube below. To today’s ears the album will sound cheesy. There are spunky horn sections, fuzzed out guitar a la Neal Hefti (Batman TV series theme), crazed cellos and of course the sitar, taking the lead vocal part with its elastic, nasal tone. And let’s not forget the inevitable female background choruses (usually singing only “la la las”). But Lord Sitar is so “of its era” that it can’t help but either make you wince at its cheese factor or smile at the enjoyable, carefree arrangements as they merrily make their way out of your speakers. 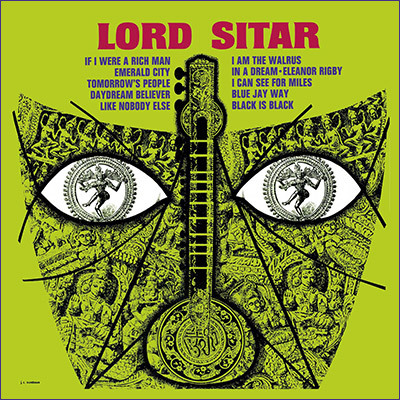 One bummer: Lord Sitar also covered The Rolling Stones’ “Have You Seen Your Mother, Baby, Standing in the Shadows?”, which appeared on the single of “Black Is Black” but which wasn’t added to this reissue or previous CD issues. It’s a killer cover! 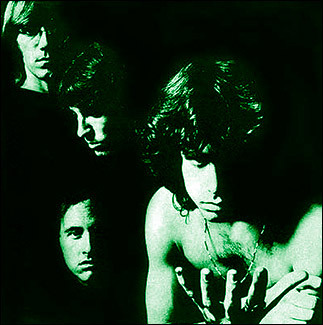 Lord Sitar—that is Big Jim Sullivan—passed away in 2012 with a discography like no one else in popular music. With over 750 charted singles and over 50 number one hits, Big Jim was more of a god than a lord. To call The Family Way a holy grail for Paul McCartney fans would be missing a point: Macca wrote only the tunes (or “cues” in movie music-ese) here. He’s not on the record at all. The orchestrations were done by The Beatles’ producer George Martin, who by 1966 had already shown quite a bit of talent at arranging for orchestras and such; he’d done a good bit of it before ever laying ears on Liverpool’s finest. So when McCartney was approached to score this British comedy/drama’s soundtrack, there was probably no doubt who’d be doing the heavy lifting. And yet, without chunes, a record ain’t nothing but a slab of black wax. The melody bits Paul gave George to orchestrate are quite catchy, and though a few of them reprise in different forms here and there (as you’d expect in a soundtrack), the barely 27 minute album is nice to listen to, even if you haven’t–and you probably haven’t–seen the movie. Starring Hayley Mills as a newlywed who gets mired in a comical series of events that prevent her and her husband from consummating their marriage, The Family Way was based on a Bill Naughton (Alfie) play, All in Good Time, and released in December 1966, just a half year before The Beatles would introduce Sgt. Pepper to the world. This release is of the stereo mix of the record, most likely from the 2011 remaster that came from the original first generation master tapes and was used to produce Varese Sarabande’s first-ever stereo CD issue of the soundtrack. 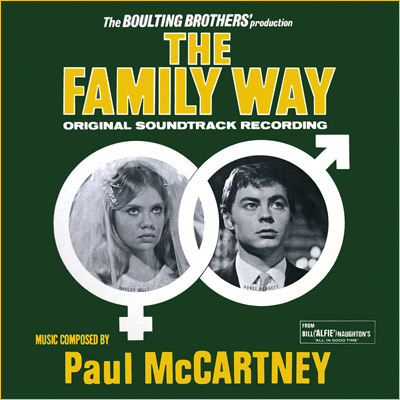 Another Record Store Day 2015 release, The Family Way is a nice addition to your Macca collection and certainly costs WAY less than a decent copy of the original vinyl. 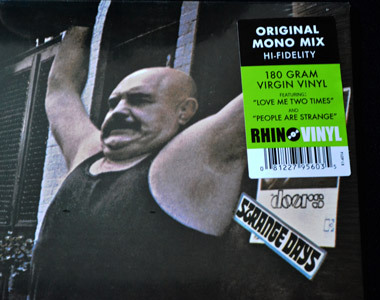 Here’s a trio of 7” releases for RSD 2015, on the verge of yet another possible Kinks reunion, designed to get you excited for a band that continues to thrill 50+ years after they first laid noise to tape. 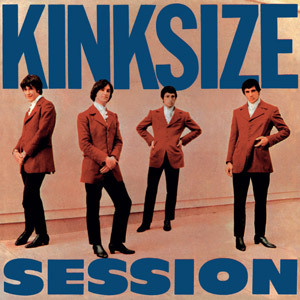 Kinksize Hits, an EP first released in 1965, contains only two hits: “You Really Got Me” and “All Day and All of the Night.” (Pretty big hits, I’d say!) The other two tracks barely scraped into the charts—ask most Kinks fans if they’ve heard of “It’s All Right” and “I Gotta Move” and they’d probably have to think about it for a few moments. Regardless, it’s a reissue so you can’t blame the record company. After all, they did at least get the sound quality right! The third of these releases, “You Really Got Me” (live) b/w “Milk Cow Blues” (live) is pretty superfluous. Both tracks were recorded live in a London TV studio (late ’64 and summer ’65), both sound pretty lousy, and both versions are nowhere near as good as the studio versions. 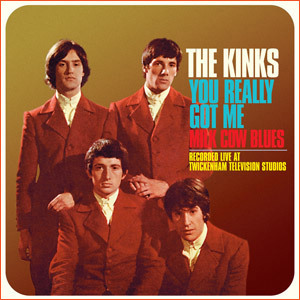 Why didn’t they just reissue another EP, like Kwyet Kinks? (That’s a real one, by the way.) If I wasn’t such a Kinks konneisseur, I’d have either passed on this one or tried to sell it back. But you know I kan’t do that! 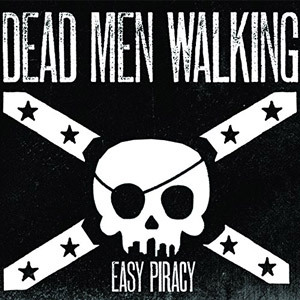 You really got to hand it to those folks at the record label. They found that photo of me over a barrel and taped it up in the board room. Who would have ever thought that British pubrock punkers The Stranglers would cover this Burt Bacharach/Hal David composition, first made a hit by Dionne Warwick, with such glorious results? 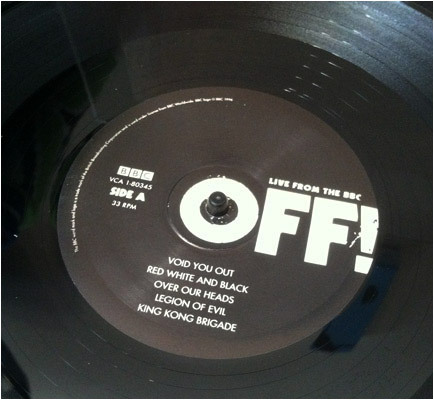 And then… Who would’ve expected the two versions to share opposing sides of the same 7″ vinyl? 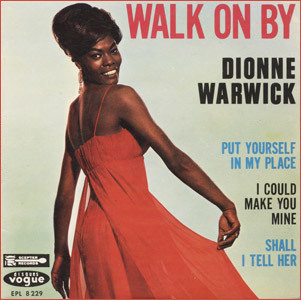 “Walk On By” was a huge hit for Warwick in 1964, her second single to make the US Top Ten, and a breezy, wispy little tune about lost love that floats along beautifully thanks to her soft, expressive voice. 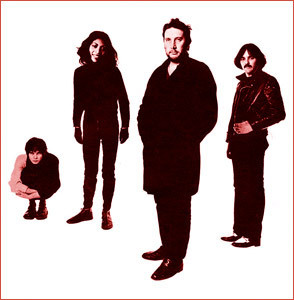 Fast forward to 1978 >> The Stranglers, pub rockers turned punk, take a stab at the song, a quite sinister sounding cover carried by Hugh Cornwell’s deep voice, JJ Burnel’s fuzzed-out bass and an organ part that is equal parts Warwick arrangement’s horns and strings. Cornwell sounds like, once he’s done crying over losing his love and “seem[ing] broken in two,” he’s gonna grab her, drag her into a dark alley and let his foolish pride finish things up. And this version reached the UK’s #21 slot. What’s great about Rhino’s Side By Side series of 7″ single pairings is that it can juxtapose two clearly different versions of a song, giving you two ways of looking at the same situation. It’s like having an angel on one shoulder and a devil on the other and you’ve got to pick which one to go with—except you can choose both. 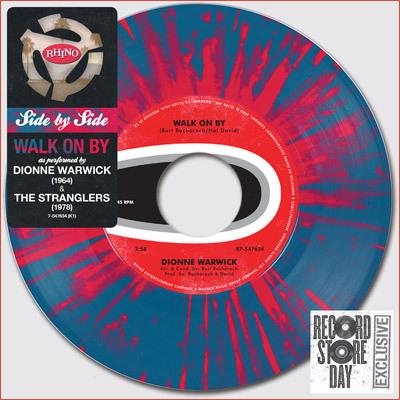 It doesn’t always work: another SBS 7″ from Record Store Day 2015, “Dark Globe” featuring Syd Barrett’s original as well as R.E.M.’s cover, doesn’t achieve the greatness Dionne Warwick and The Stranglers’ versions do because they’re too much alike. Hats off to the intrepid Rhino who first uttered this idea at a record company meeting expecting to have it shot down like a sitting duck on a pond. Now wouldn’t it be cool to have Dionne actually front The Stranglers and do a live mashup? !